A little fit goes a long way. Our Fountain Valley club is a quick and convenient gym near you to work in your workout and clear your mind. Step in and feel the positive energy. Find your community in our studio classes. 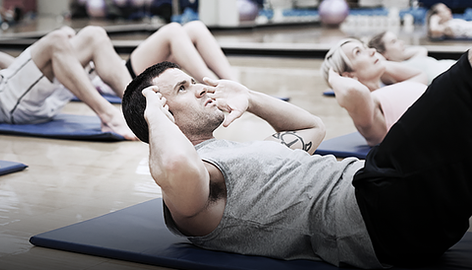 Or take your gym time to the next level with personal trainers to keep you on track. 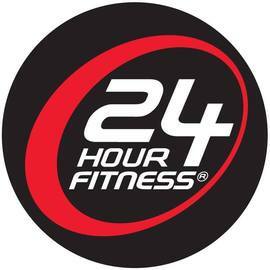 At 24 Hour Fitness, we see our clubs as your ultimate daily retreat, where motivation and comradery are simply part of your gym membership. Building muscle and losing fat makes you look great! It’s hard to argue with that. But there are those that will decry this as vanity work, and say that it’s only about looking good. Frankly, they are wrong. 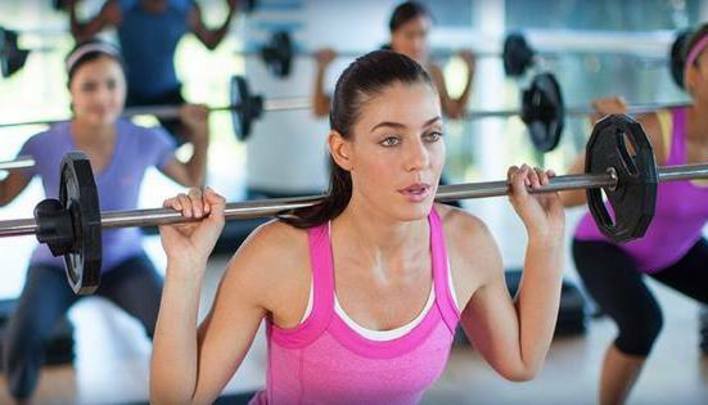 Working out to change your body by gaining more muscle and burning fat has benefits beyond looking better. For one thing, you will be stronger. True, you don’t necessarily need to gain much muscle weight to be stronger; there are many examples of strong people with small frames. But the simple fact is that in training to gain muscle you will become stronger than if you didn’t. And being stronger has been absolutely correlated with improved longevity and quality of living. Having a better muscle-to-fat ratio also improves health markers such as insulin resistance (lowers diabetes risk), blood pressure regulation and overall cardiovascular health. There are, of course, extremes, where too much bodyweight for your frame (your Body Mass Index) in general is not good for you. But this is very much an extreme case, and most of us will never get to the point where we have too much muscle. When you think of how to build muscle, most people think about barbells and lifting heavier and heavier weights—and that’s not wrong! Resistance training with barbells, dumbbells and machines with progressively increasing weights absolutely builds muscle. It’s a proven and efficient way, and should be a part of your training regimen. But it’s not the only way to gain muscle, as long as you follow a few fundamental concepts. Even if a movement is very hard for you the first time you do it, you will get used to it and your body will adapt. And when this happens you need to make it more difficult if you want to get more benefit out of it. You can do this by increasing the weight on a machine or barbell movement, adding more repetitions or, as we’ll discuss further, you can change the way you perform bodyweight movements to make the leverages and forces more difficult. Our bodies adapt well to situations and our environment. Building muscle takes a lot of our energy and bodily resources, so unless the stimulus warrants that response, our system won’t change. This doesn’t mean you have to make things very hard at every session. That’s a recipe for burnout. But it does mean that over time you’ll need to be doing more (resistance, repetitions, etc.) than you did before to improve and gain muscle. This concept refers to how long you are exerting your muscles within a particular movement. We usually count this by how many repetitions of the movement you are doing, with the hypertrophy sweet spot at eight to 12 repetitions. But you can also think of this as how much time (in seconds/minutes) your muscles are under contraction. Say a typical repetition takes you three to five seconds to do. Eight to 12 repetitions of that would be around 30 seconds to a minute. This is helpful because some movements you hold for a period of time (wall sits, planks, gripping holds), which is necessary to build muscle. For most people, each set of a movement (or movement combination) should be about 30 to 60 seconds to stimulate muscle growth. Less than that and it isn’t as much of a stimulus, and more than that makes it more like endurance training. Yes, there is much more detail to this and I’m sure many people will debate these details, but for practical purposes, this general guideline works for the majority of people. The need for consistent training makes intuitive sense. You can’t expect to do one session and suddenly gain 10 pounds of muscle! This is related to the concept of progression. If your muscles aren’t experiencing a regular pattern of stress, then there is no need to build or maintain muscular growth. Our bodies build and adapt to stimulus as needed, but this also includes reducing when there is lessened need. Just like we lose fat stores when we eat less or expend more energy than we take in, we lose muscle when the stimulus is gone. 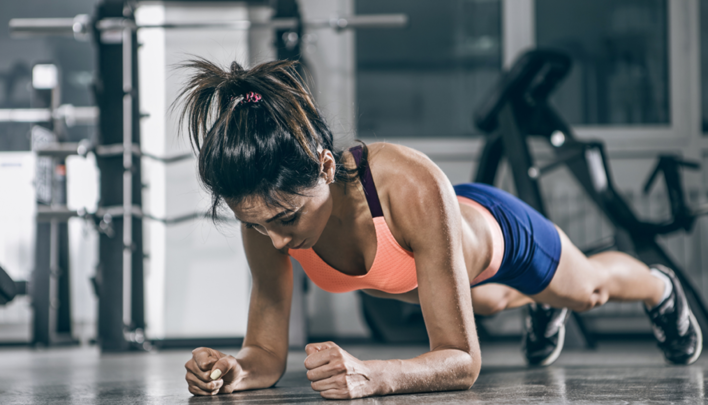 Thankfully, it takes much longer than just a few days to lose it, but it does require us to workout more than once every couple of weeks to build muscle. Two to three times of resistance training per week is necessary to optimally build muscle, and once every week or so to maintain it.